Alberta slip is well suited to oatmeal glazes because it already has the iron content needed. Vary the titanium for more or less gloss and oatmeal appearance. 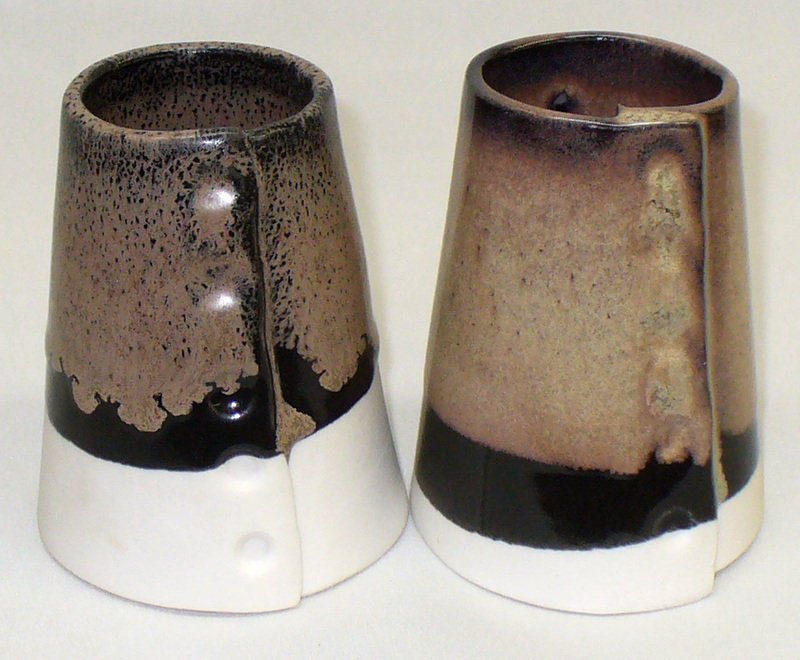 This glaze is very attractive, but one issue you might encounter is pinholing or blistering if it is too thick (a common problem with this type of glaze). Try using it on different bodies and thicknesses to find the best combination. Adjust the frit if you would like it to melt lower or higher. Do not hesitate to reduce the rutile and titanium by a percent to experiment. Getting this glaze working is well worth the effort, not just for the fired results, but for how well it works in the studio. It is actually less troublesome than most others that fire similarly. This recipe was referred to as GA6-B in past. For mixing instructions please see the master recipe, GA6-A. 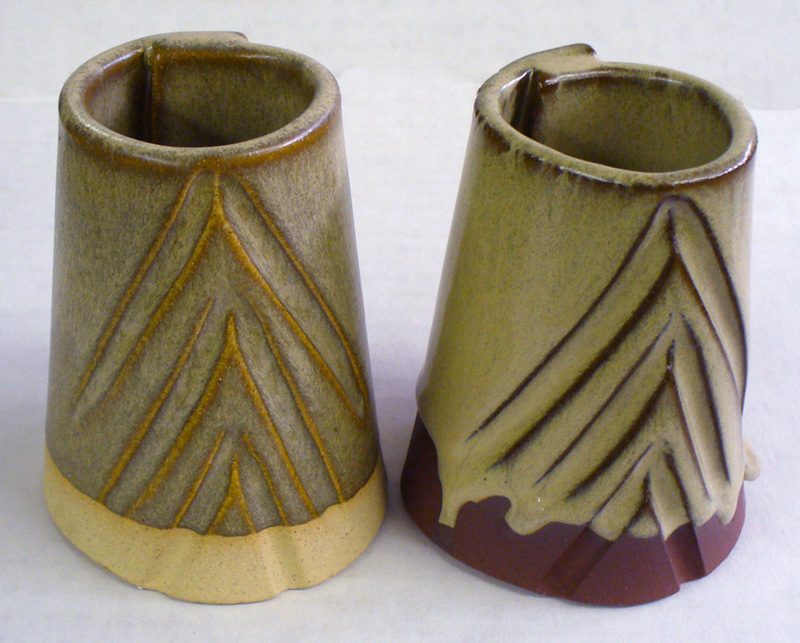 An amber-colored glaze that produces a clean, micro bubble free transparent glass on brown and red burning stonewares.